The fact that the ‘Design’ in the title is a verb neatly introduces the idea of active participation and tangible outcomes, in contrast to the noun “women designers” that could create one identity for a broad group of disparate protagonists, and at worst simply objectify them. On the downside, the book’s subtitle offers up the categories “architecture, industrial, graphic and digital design from the twentieth century to the present day”. Textile design, though covered extensively and in a similar number of profiles to architecture, is not named as a category of its own, and is instead subsumed under industrial design (digital designers are given far less space but appears in the subtitle.) Ironically this creates a type of erasure of a whole type of design that the project purports to work against. Sellers studied design history at the V&A/RCA, worked as a curator at London’s Design Museum and, until recently, ran an eponymous gallery devoted to raising the profile of design. Apart from the subtitle (which is often the publisher and marketing team rather than author’s final decision), her curatorial instincts are evident in the carefully balanced selection of profiles. Roughly half the women included are living, and a quarter of those are mid-career or professionally active. The image choices are strong and support the text well, and Sellers’ writing is engaging throughout. Historical context is provided within an economical amount of space without assuming the reader has a surfeit of time to get to the point. She also punctuates the individual profiles with three themed sections – “On the Bauhaus”, “On the Road” and “On the Stage” – each of which addresses a design groups or brings together several practitioners in one discipline. The most unusual, “On the Stage”, covers theatre and stage production – arguably more obscure terrain for design writing – which Sellers coins “architects of temporary space”. It opens with the brave emptiness of work by British designer Sally Jacobs’ (born 1932) who challenged the entire canon of designing for Shakespeare with her white box scenography for Royal Shakespeare Company’s Midsummer Nights Dream, directed by Peter Brook in 1970. Sellers then dives back to her unexpected antecedent, the Ukrainian designer Alexandra Exter (1882-1949) whose constructivist stagings for Russian theatre broke as many conventions, before looping forward to conclude with the mid-career profile of another British designer Es Devlin (born 1971) whose work includes New York’s Metropolitan Opera’s 2015 version of the opera Othello, the London 2012 Olympic opening ceremony and tours for superstars including Beyoncé and Adele. Devlin is without a doubt one of the leaders in her field, though it is a field that has been relatively welcoming to women. This brings me to the one major quibble in this otherwise carefully considered project. 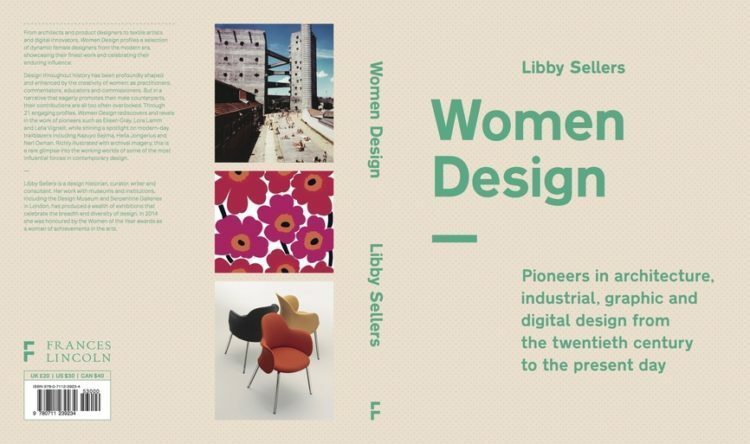 While the introduction names previously published studies of women designers, for those reading with even half an academic eye the lack of any bibliography or reference list is surprising. More work, by others, is needed. The leads Sellers research would provide are crucial to the rebalance Women Design seeks to address.